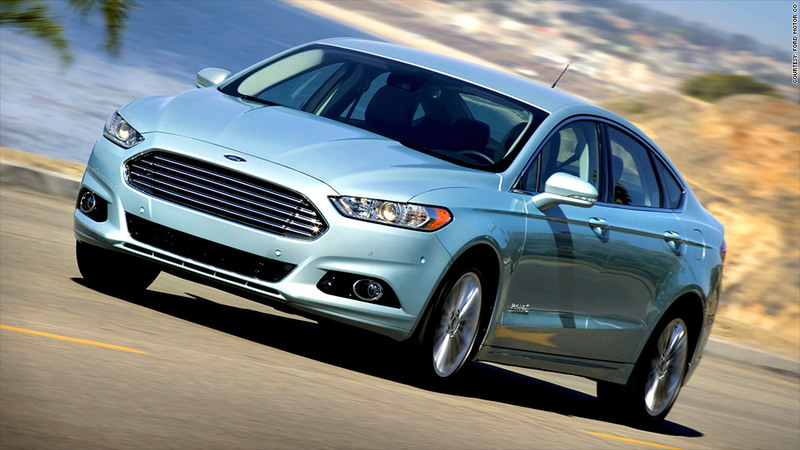 The 2013 Ford Fusion is one of the models recalled by the company due to fuel leaks. Ford Motor is recalling 465,000 of its current model year cars due to a fuel leak that poses a fire risk. The company said the models include 2013 Ford Explorer, Taurus, Flex, Fusion, Interceptor Utility and Interceptor Sedan, as well as the Lincoln MKS, MKT and MKZ. Ford (F) said it is not aware of any incidents of fire due to the fuel leak, or of any injuries caused by the defect. Ford said it had received 600 complaints about the fuel leak from customers as of March 31. Last July, Ford recalled 11,500 of its 2013 Escape SUVs because a defect in the fuel line that could cause a fire. At the time Ford took the unusual step of advising drivers not to even drive the vehicles until they were repaired. There was no such warning with the most recent recall. Ford also announced two small recalls. It has recalled 500 2013 Lincoln MKZ vehicles because the insulation on the engine block heater can crack at extremely low temperatures. Additionally, Ford said that 25 2013 Fusions are at risk of impaired steering or the loss of steering control due the lack of an internal retaining clip.